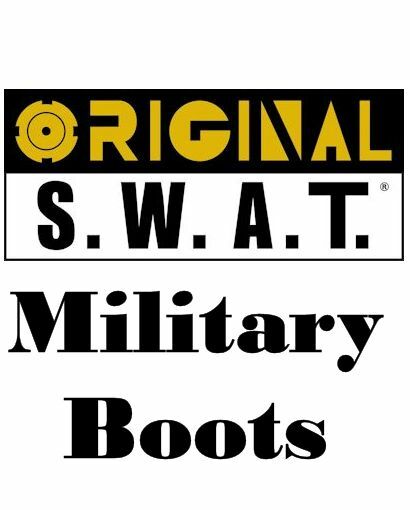 This Swat boot is constructed with the latest slip-resistant soles and quality materials and it has many technical design features that have taken years to perfect. 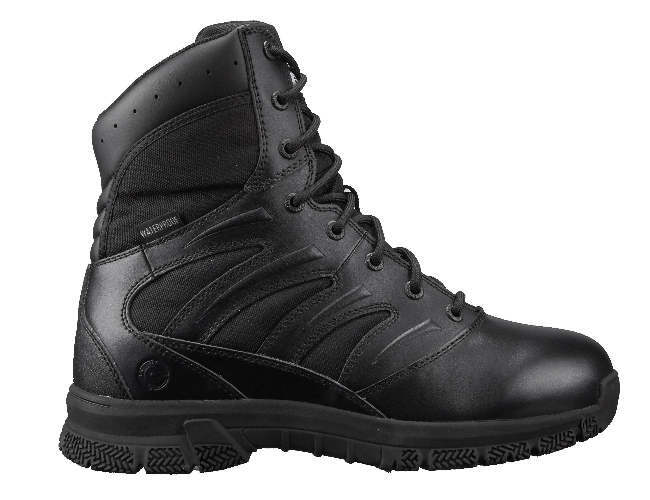 This swat boot will serve you well and it will keep you comfortable on any shift. 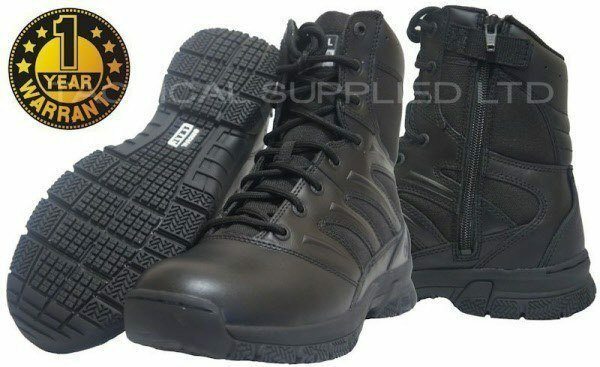 A great value boot and will keep you dry in wet conditions. Stability platform for support and stability with steel shank. moulded heel and toe box for instant comfort. 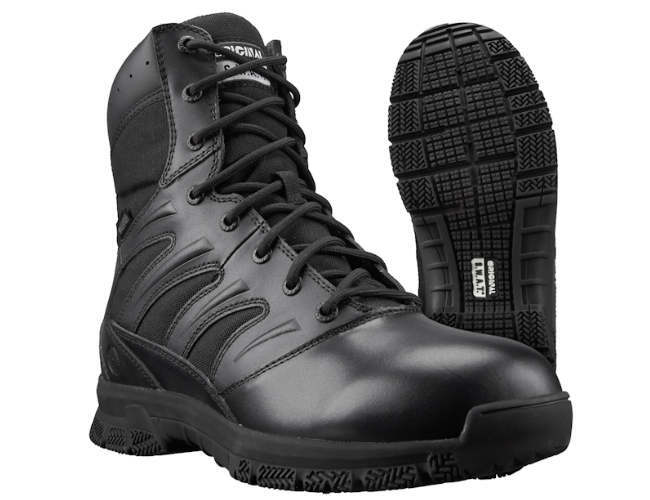 Slip resistant, non-marking cup sole with ladder grips.